Scorcher | Boom Beach. All about the Game! 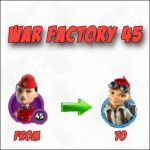 The every unit is trapped by fire – invasion of Scorchers – don’t give up and fight! 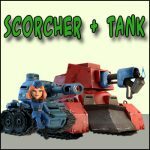 As You might have guessed this post is focused on my favorite unit in the Game – Scorcher! In my humble opinion nowadays the Scorcher is the most powerful unit in the Boom Beach. In my case they are upgraded to max. 8 level and this is 43,000 of health and 975 damage per second! Impressive, isn’t it? And if they are under influence of Statues and Power Powder… Such Scorchers are unstoppable! The only one minus is requirement of too much energy for landing of one Scorcher ashore (12 units). With such huge amount of spending energy it’s impossible to use only Scorchers without Statue which increases Gunboat energy. But it’s not very big problem! 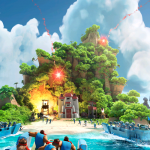 For attacks in Boom Beach, players can use only Scorchers without any other units. The only drawback of such variant of attack is the huge energy consumption for landing Scorchers ashore (96 units of energy or 12 per one Scorcher). In my opinion, there are no other disadvantages in such variant of attack (maybe except of case when two Doom Cannons installed on enemy’s island). Scorcher+Tank. 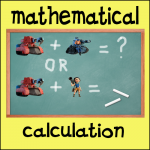 Probably the most popular combination with Scorcher in the Boom Beach. I use such combination in 80% of cases. The weaknesses of such combination: totally unsuitable in case when enemy’s defense has two Doom Cannons (such prototype weapon destroy Tank from one shot); high energy consumption for landing ashore. Scorcher+Zooka. I use such combination less often despite the fact that offensive power of such combination is stronger than in case with Tanks. One huge minus of such variant of attack is permanent losses of Zookas almost in every attack (due to low health of unit). And It’s takes an extra time (or diamonds) to compensate losses. Scorcher+Grenadier. It is also good combination. I’ve used this very effectively a few times… But for some reasons I don’t like it. Don’t know why… As they say every man to his own taste. Scorcher+Rifleman. I use that variant rarely. Such combination is the best for the attack when enemy’s defense has two Doom Cannons. This entry was posted in ATTACK, UNITS and tagged Attack, Scorcher. Bookmark the permalink.